Description: Book is bound in a plastic velo binding with red plastic covers. Just a tiny bit of soiling to text block edges and title page where it shows through window on front cover. Pages are free of marks and binding is sound. Stated first edition, November, 1980. 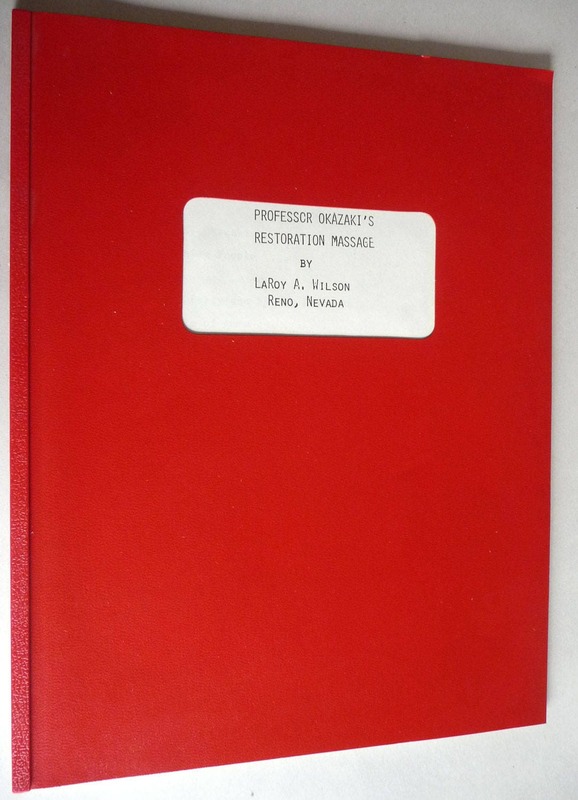 This was LaRoy Wilson's first book on Professor Okazaki's Nikko Style Restoration Massage. 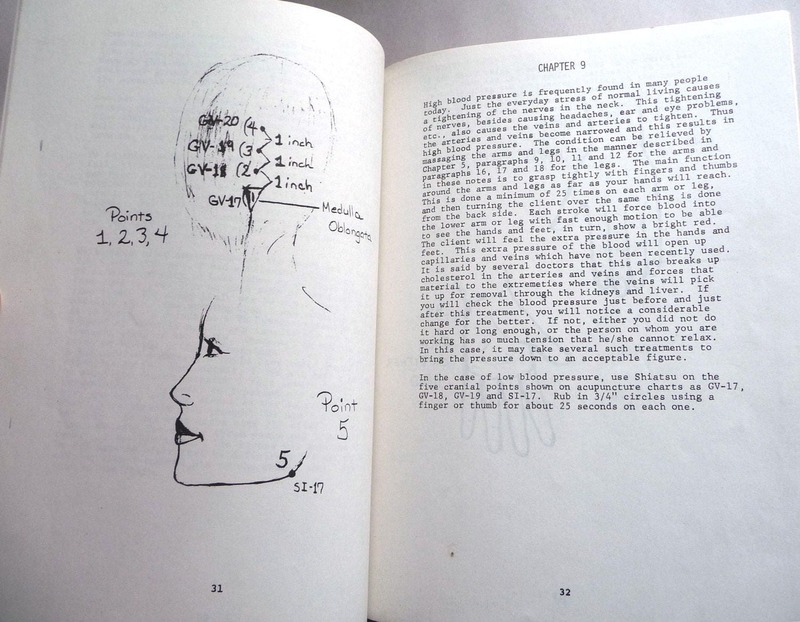 The book is written in first person narrative and recounts Wilson's meeting with Okazaki and discusses Okazaki's techniques for various symptoms/complaints as well as a brief bio of Okazaki himself. Pages: 61 Pages, including Bibliography.